It is a cruciferous vegetable that belongs to the Brassicaceae family, which includes broccoli, kale, and cabbage. It derives its name from the Latin word ‘caulis‘ which means cabbage with a flower. The florets on the head of the cauliflower, also known as curd, are tightly clustered and consist of immature flower buds attached to a central stalk. To protect the flavor and softness of the cauliflower heads, they are kept away from sunlight to prevent the development of chlorophyll pigment and over-maturity. Studies have shown that indole-3-carbinol present in cauliflower has chemopreventive and anti-estrogen effects that help in hampering the growth of cancer cells. 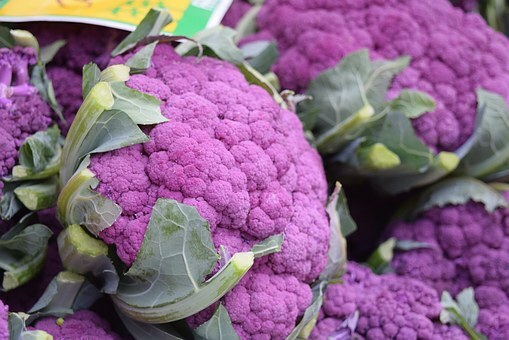 Research has provided supporting evidence for the fact that consumption of brassica vegetables such as cauliflower assists in reducing the risk of various types of cancers such as lung, bladder, breast, prostate, ovarian, and cervical cancer. This is just a few of the wonderful benefits of this ordinary little vegetable that actually isn’t ordinary at all!